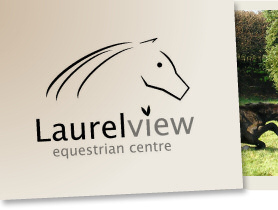 Another chance on Sunday 12th June (if the weather behaves) to enjoy the excellent cross country course at Laurel View. The course will be open from 12 noon to 4pm. 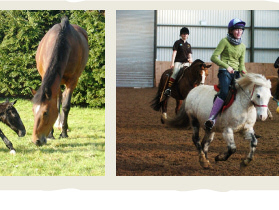 Only £15 per horse or pony. Derby League – xc or not? The cross country course will be open from 12 noon to 4pm on Sunday 22nd May (ground conditions permitting) for a Go As You Please. All riders must sign in, but the cost is only £15 per horse/pony. The first of a league running over the summer months, hopefully on the Cross Country Derby Course, ground conditions permitting. Classes will be 60cm, 70cm, 85cm & 1 metre. 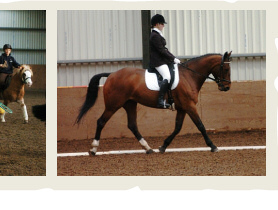 The fun will commence from 12.30pm with the 60cm class. Pre Balmoral Show Sunday 8th May. Classes include Working Hunter with Horse qualifiers for All Ireland Working Hunter Championship at Tullamore Show on 14th August 2011 and Racehorse to Riding Horse training class. All entries on field.